Surin is a town in Thailand, capital of Surin province, 431 km east-north-east of Bangkok. 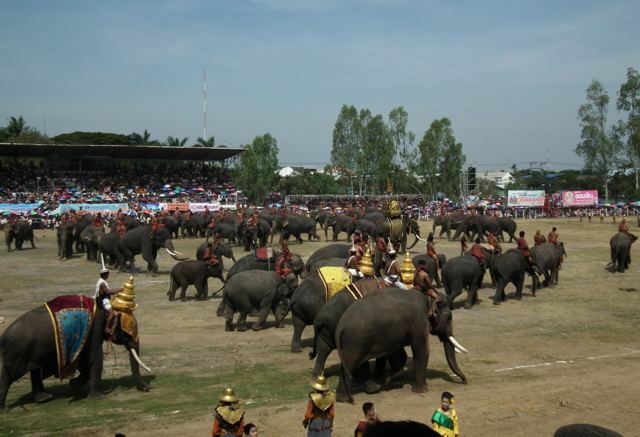 It is the site of the annual Surin Elephant Round-up. In 2000, Surin had a population of 41,582. The first part of the name Sur- originates from the Sanskrit word Sura (Devanagari: सुर) meaning "God" (cf. Asura), and the second part -in(thara) from Sanskrit is "Indra" (Devanagari: इन्द्र). Hence the name of the province literally means Lord Indra. In the north of the province is the valley of the Mun river, a tributary of the Mekong. 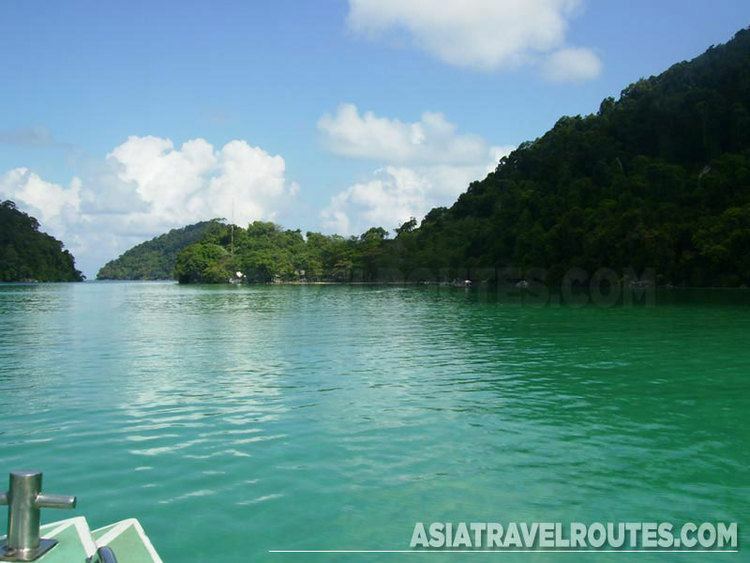 To the south of the province is the Dongrek mountain chain, which also forms the boundary to Cambodia. The central and northern parts of the province are undulating flood plains. Surin has a tropical savanna climate (Köppen climate classification Aw). Winters are dry and warm. Temperatures rise until April, which is hot with the average daily maximum at 35.9 °C (96.6 °F). The monsoon season runs from late April through early October, with heavy rain and somewhat cooler temperatures during the day, although nights remain warm. The earliest settlers in this region were hunter-gatherers. The Neolithic, with the introduction of agriculture, dates from 2,500 to 1,500 years BCE. The Bronze Age dates from 1,500-500 BCE, and the Iron Age from 500 BCE to 500 CE. It is in the Iron Age that the first evidence of human settlement emerges in the province, with approximately sixty known Iron Age sites. The earliest known historical period is the Dvaravati. This was an Indian-based culture, which diffused through the north-east region of what is now Thailand. Evidence of this culture is found in Surin region dating to between the 7th to 11th centuries CE. It was in this period that Buddhism became the dominant religion of the region. Following the Dvaravati period, the powerful Khmer Empire expanded its influence throughout what is now the southern Isan region of Thailand. This period covers the 7th to 13th centuries CE. 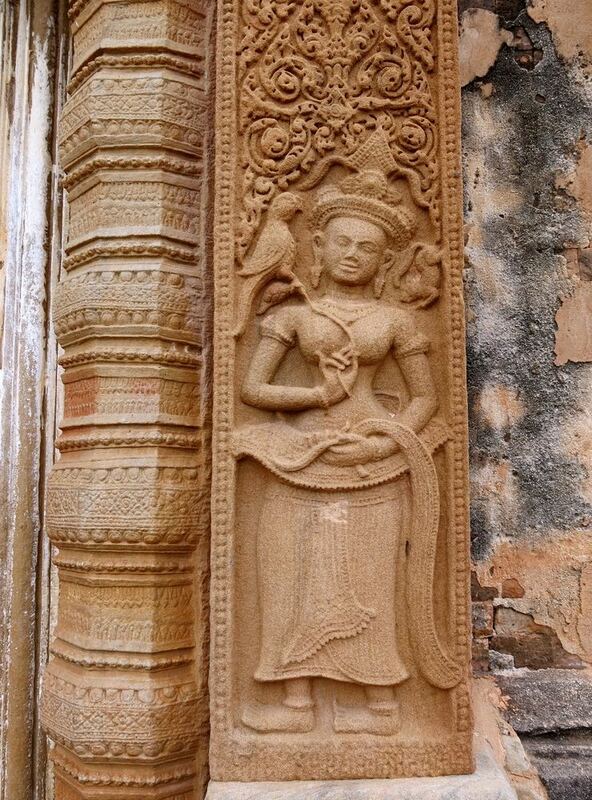 Surin was an important part of the ancient Khmer empire. Temple ruins and a substantial ethnic Khmer minority remain part of Surin. Khmer stone inscriptions date from c. 600 CE. Over the next several centuries a growing number of Khmer sites were constructed in the province, most notably Prasat Sikhoraphum. These sites would have formed part of the network of Khmer infrastructure centred on Prasat Phanom Rung. With the collapse of the Khmer empire in the 13th century Surin province faded from history. It is in the 18th century that it re-emerges. At this time a Kuay local leader named Chiangpum became the royally appointed ruler of the region. According to legend he presented a rare white elephant to the Chao Phaya Chakri, future King Rama I. In gratitude, Chiangpum was awarded the royal title Luang Surin Phakdi and appointed the village headman. When Rama I became the Thai monarch, he appointed Luang Surin Phakdi as the province's governor. In 1763 the village was moved to the location of the modern city of Surin, and was upgraded to a city with the name Muang Prathai Saman. There is a local legend that this move was due to better water supplies at the new site. Also, that the original location of the town was at Muang Thi, approximately fifteen kilometres to the east of the modern city. In 1786, the city's name was changed to Surin in honor of its governor. The province slowly grew in population, there was a continual influx of people from surrounding areas, principally Cambodia (part of what is now western Cambodia was ruled by Bangkok at this time), however Surin was largely self-sufficient, and somewhat isolated. This changed with the advent of the railroad in 1922. Surin and its economy was exposed to the wider world. Chinese and Indian merchants settled, manufacturing increased, and Surin joined the modern world. The Monument of Phaya Surin Phakdi Si Narong Changwang (Pum). อนุสาวรีย์พระยาสุรินทรภักดีศรีณรงค์จางวาง (ปุม). This is a statue of Surin’s traditional founder and first mayor, Phaya Surin. The black, brass statue is 2.2 metres high, and was dedicated in 1968. The statue is located at the southern entrance to the city, at what is now a major traffic round-about, but was in the past, the inner wall of the city. Pum stands on a high plinth, and is depicted holding a curve-blade pike in his right hand. This is a traditional device used to control an elephant. The pike reflects his legendary skill in controlling war elephants, and recognises the important of the role of elephants in both the history and economy of Surin. Wat Burapharam. วัดบูรพาราม. This ancient Buddhist temple was built by Surin’s first mayor Phaya Surin Phakdi Si Narong Changwang. The Wat houses a Buddha image of Luang Pho Phra Chi, which was built at the same time as the temple. Surin National Museum. พิพิธภัณฑสถานแห่งชาติ สุรินทร์. The Surin National Museum was established in 1974. It was first housed in the Surin City Hall, but was later moved to the Surin Education Office. In 1992 the Thai Fine Arts Department proposed a dedicated museum building for the province. Construction of the museum began in 1995, and was completed in 2010. The Museum is now located in Ban Nongtao, Chaniang sub-district, Mueang district, on highway 214. The Museum covers five topics: natural science, history-archaeology, local history, ethnology, and local heritage. Lower Isan Art and Crafts Centre. ศูนย์ศิลปาชีพอีสานใต้. Located on a bypass road, close to Tambon Nok Mueang Administration organization, south-east of Surin City. The centre displays art and culture exhibits of Lower Isan. Surin Jasmine Rice and Silk Cloth Fair. งานวันข้าวหอมมะลิอินทรีย์และมหกรรมผ้าไหมสุรินทร์. Held every January, the Fair features contests of agricultural products, silk cloth, and presentations from governmental institutions. 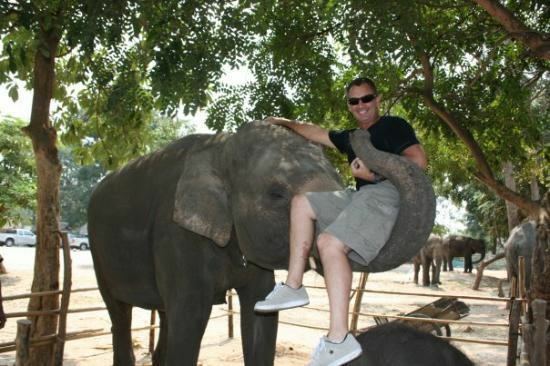 Thai Elephant Day. (งานวันช้างไทย). A light and sound show which describes the legends of Thai elephants. Held annually in the second week of November. Surin Elephant Round-up and Surin Red Cross Fair. งานช้างและกาชาดสุรินทร์. The annual fair is held every third week of November at Si Narong Stadium. Since ancient times, Surin is rich of elephant. Suay ethnic people has turned wild elephant into their vehicles and their talent in elephant controlling has made debut for Thailand. The Round-up features contest of elephant’s dining table, elephant welcome float, the world’s biggest dining event of the elephant, and performance such as elephant capture, tug of war between elephant and men, elephant football match, war elephant, and local performances such as Ruam An-re and Kantrum. Ordination parade on elephant’s back. งานประเพณีบวชนาคแห่ช้าง. The vibrant tradition is held mostly on the 13th-15th day of the waxing moon in May (around mid of May) at Wat Chaeng Sawang, Ban Ta Klang, Amphoe Tha Tum. Khmer, Laotian, and Suay people are all Buddhist and families wish their sons to enter monkhood and study the dhamma before marriage. The ordination of large numbers of monks simultaneously on elephant back over long distances confer great merit on the families of the ordainees. As all participants dress decoratively with mat-mi silk, the tradition earns lots of merit which is passed down through generations. The parade comprises more than 50 elephants crossing the Moon River, with ordainees having shaved heads, all paying homage to Chao Pho Wang Thalu Shrine before starting the ordination.